It was pouring rain as I left for the sketch outing this morning. 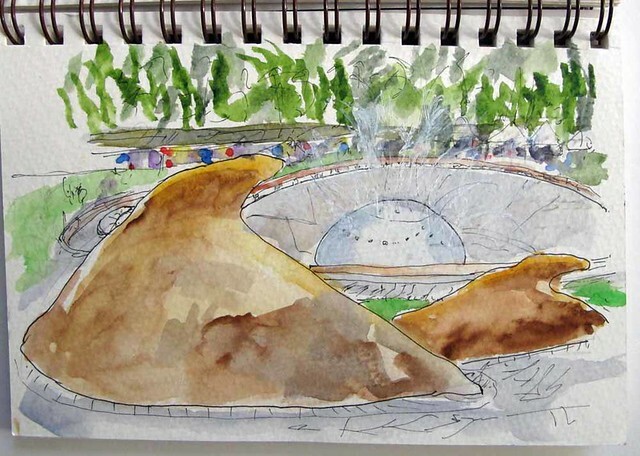 I was resigning myself to the possibility of finding some indoor sketching venues at the Seattle Center Folklife festival. 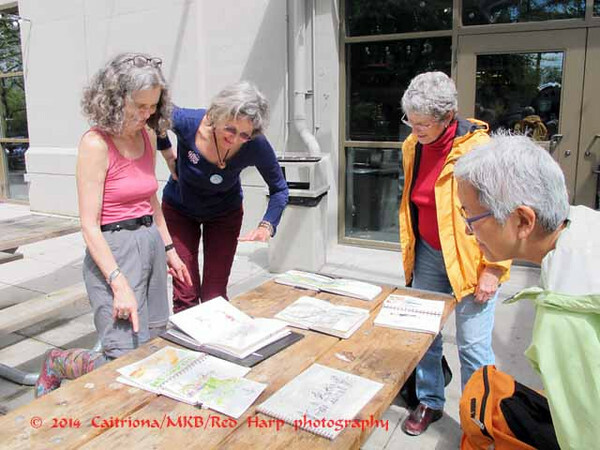 The Friday ad hoc sketching group met at noon, later than our usual time, in order to take in the festival once is started. 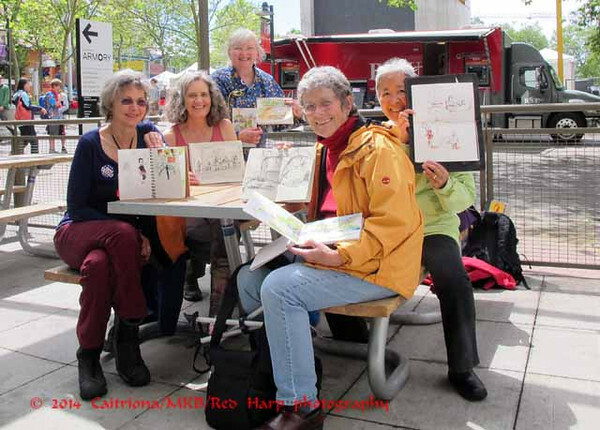 By then the weather was clearing and we could all sketch outdoors. I found several sculptures I had never noticed before. These are whales in front of the International Fountain. Then I found a sheltered spot in case it started to rain again. 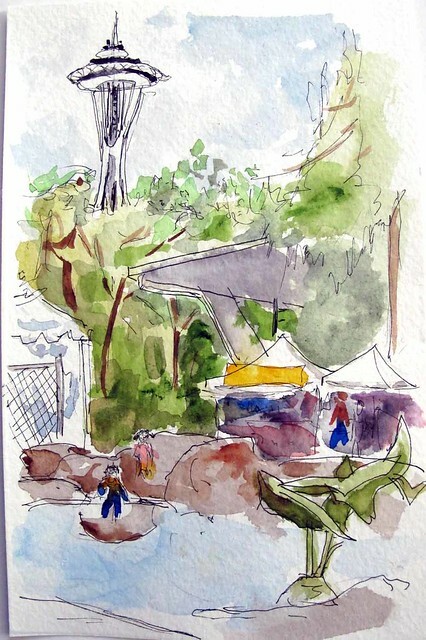 It gave me a view of the Dupen Fountain, kids playing in the water and the Space Needle. There are also a couple Folklife vendor tents. As usual, we met back up after a couple hours of sketching to share our work and take a group photo. We were a smaller group today..... perhaps the early rain kept others away. You can tell it was very sunny by the time we were finished!